Some of Toyota's newly named executives at their first public gathering last week: Although from different backgrounds and even different companies, they all share President Akio Toyoda's view that an industry crisis is looming. 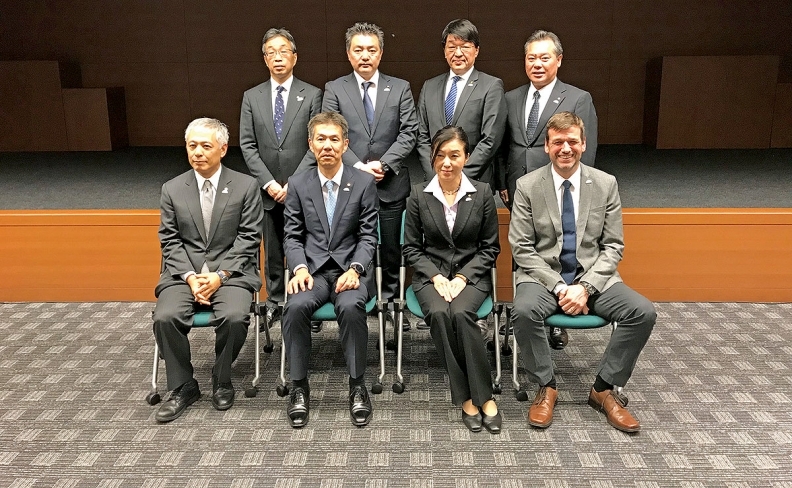 NAGOYA, Japan — Toyota's newly promoted global executives, including a British man, a Japanese woman and several company outsiders, have one thought in common: Toyota is beset by upheaval and its very survival is on the line. That dramatic message was repeated with almost mantralike uniformity by a showcase of the executives last week in their first public appearance since starting their new jobs Jan. 1. The sense of urgency was palpable as they stressed the need to move fast and innovate. "A once-in-a-century change is occurring," said Satoshi Ogiso, a former hybrid-vehicle engineer who left Toyota to run brake supplier Advics, and has returned as president of Toyota's commercial vehicle business. "We have to overcome a time of major change." Even Toyota's newly appointed chief communications officer, Masahiro Yamaoka, couldn't help fretting aloud about Toyota's challenges. "In all aspects, we really can't wait," he said. "This is a survival or death situation." The hand-wringing may sound out of place at a company that said this month it expects record net income for the current fiscal year. But the crisis mentality is being cultured from the top by President Akio Toyoda, who is looking far beyond the next few quarters. Akihiro Fukutome, the new head of Toyota Financial Services who parachuted in from a previous career as a managing director at Japanese megabank Sumitomo Mitsui Banking, said his mission came from Toyoda. Indeed, Toyoda says his top priority is keeping the company nimble and responsive to the cataclysmic change rising over the industry, including the specter of self-driving cars. Even a cash-rich giant such as Toyota, the thinking goes, can be knocked off its pedestal by the rush of new technologies and new competitors. "Over the next 100 years," Toyoda said in announcing the management changes in November, "there is no guarantee that automobile manufacturers will continue to play leading roles in mobility. "A crucial battle has begun — not one about winning or losing, but one about surviving or dying." Toyota likes to regularly move and promote its key managers. This year's executive shuffle is envisioned to keep Toyota nimble by mixing in executives with more diverse backgrounds. Some of the changes strengthen ties with Toyota Group companies. New truck boss Ogiso, for example, said he will take advantage of his two-and-a-half years at Toyota Group supplier Advics to cultivate new thinking and closer coordination with suppliers. Toshimitsu Imai, the new CEO of Toyota's Africa operations, comes from group trading company Toyota Tsusho. His challenge will be securing Toyota's place as the No. 1 automaker in up-and-coming Africa, a market most companies relegate to an afterthought. On the finance front, Fukutome said new mobility businesses, such as ride-sharing, are forcing Toyota to devise new revenue streams, combining finance and technology. Referring to the buzzword for innovative financial technologies, he added, " 'Fintech' is the word that is often used. I would like to do something new." Globalization also gets a boost with the changes. UK-born Simon Humphries steps up as global design chief for the Lexus and Toyota brands, filling the shoes of Tokuo Fukuichi. Humphries, a Toyota veteran who joined in 1994, returns to Japan from a stint at Toyota Europe Design Development. There, insiders say, he shepherded the production design of the upcoming Supra sports car to keep it faithful to the original concept. Developed with BMW, the car is expected to debut next month at the Geneva auto show. Humphries said the new era brings a multitude of challenges and opportunities even for design. One will be setting the course for Toyota to navigate between the commodity attitude of mobility services and the need to continue setting apart personal-use vehicles. Humphries' European team envisioned the future by designing the boxy, store-on-the-go e-Palette podlike concept vehicle, shown last month at CES in Las Vegas. "The industry is just in upheaval at the moment," he said. "Design in this era has a responsibility to go beyond just styling stuff and present a viable story for the future. We're trying to develop a future that's actually going to be better than it is now." Chika Kako hopes her visibility as Toyota's top-ranked woman will inspire other women. Gender diversity also gets a boost with the appointment of engineer Chika Kako to executive vice president at Lexus International Co. She was Toyota's first female chief engineer and held that role while developing the Lexus CT hybrid hatchback. 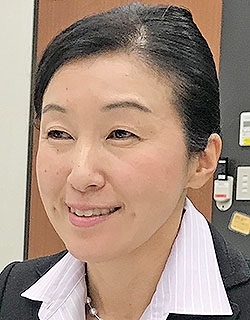 She is the only woman in Toyota's top echelon of managers and the first to climb to managing officer from inside the company, rather than joining at the level from outside. As the luxury brand's No. 2 boss, she says Lexus faces challenges in how to adapt to the industry trend toward electrification. At the same time, Lexus also must sharpen its brand identity, she said. Lexus must figure out how to position itself as a lifestyle brand that sells "experiences," rather than just as a manufacturer selling cars. "People's focus is moving from things to experiences," Kako said. She said she hoped her visibility as the company's top-ranked woman will inspire other women to pursue careers at the old-guard Japanese automaker and enrich internal debate. Toyota wants to have a woman's view of the business, she said. "I hope my being promoted will trigger more active engagement of women in the company," she said, "and that Simon's promotion triggers more non-Japanese employees to participate."